Do Car Accidents Increase During The Holiday Season? The holiday season can be very busy. For many of us, our work year is coming to a close. Our children may have many holiday-related programs at school. Add to that already busy schedule — shopping for Christmas gifts, holiday parties, travel for family gatherings. It equals a very busy time. We spend much of that time in our cars on the road. With all the extra activity, do drivers face an increased risk of accidents and injuries? That’s the question highway researchers asked. Researchers from The University of Alabama Center for Advanced Public Safety examined the data. 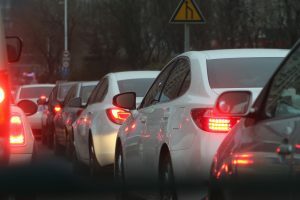 The University of Alabama study analyzed 10 years of Alabama car crash data during the days surrounding Thanksgiving, Christmas and New Year’s. After collecting and analyzing the data, computer science professor Dr. David Brown noted “the shopping days before Christmas are perilous.” That’s quite a statement. Although just my personal observation, I also think the days right before Christmas are the worst traffic days in Huntsville. Now that I have a teen driver in my house, I have discussed with him the expected holiday traffic around Huntsville. UA researchers found heavy traffic surrounding all three major holidays can increase the chances for automobile accidents. However, in 2012, the six-day period that includes Christmas had 18 percent more auto accidents than the Thanksgiving period and 27 percent more than the days around New Year’s Day. . .
Before we discuss Christmas-related driving dangers in more detail, the Alabama study does provide one piece of good news. Initiatives aimed at decreasing impaired and intoxicated driving over the New Year’s Eve holiday have saved lives. As for New Year’s Eve, once considered one of the worst times of the year for crash fatalities caused by impaired driving, data shows initiatives to decrease impaired driving have paid off. Initiatives such as targeted enforcement, cultural awareness for designating non-impaired drivers, free taxi services, overtime pay for more local and state police presences, safety programs and publicity of the dangers of impaired driving have borne fruit. . . In the days leading up to Christmas, many people are rushing to purchase last minute gifts. The time we spend on the road increases. Traffic is much heavier. In addition to traffic, distractions also increase. From Christmas decorations, to the kids in the car, to the cellphone, to the GPS, distractions can increase tremendously. And, many shoppers come to Huntsville from nearby communities. These drivers may not be as familiar with the routes and places. Christmas also brings holiday and office parties. This can lead to more intoxicated drivers on the road. Christmas is a time for joy. A serious car accident can quickly ruin holiday celebrations. As we drive during the holidays, we need to be aware that other drivers may feel rushed, distracted or unfamiliar with our roads. We should plan accordingly. At the Blackwell Law Firm, we help people who have suffered personal injury from serious car crashes. We closely study road safety and driving data so we can be the best lawyers possible for our injured clients. If you have questions, we are available to discuss these issues.